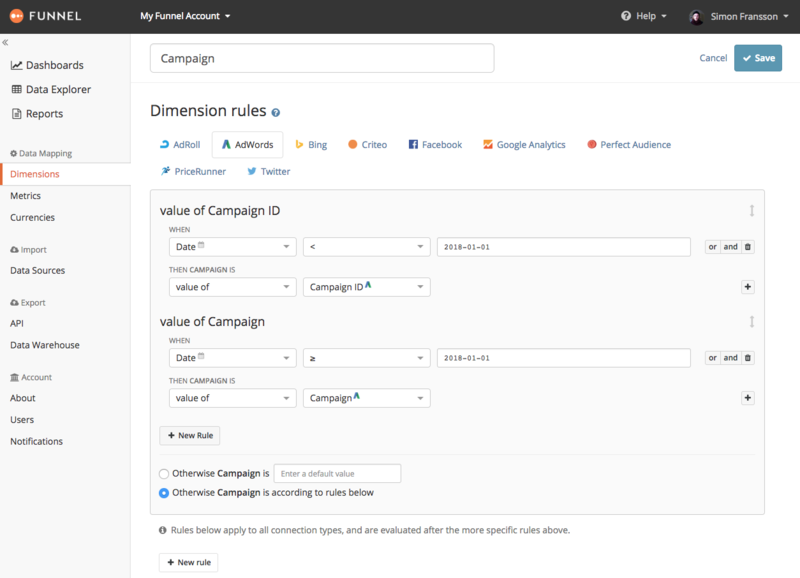 We have just added three new date dimensions to Funnel: Week Number, Week and Day of Week. An important addition is that they (where applicable) account for the Funnel account's Week starts on setting, which should be a welcome addition to US customers. The previously available Week number (ISO) dimension retains it's old behaviour, regardless of the week starts on setting. 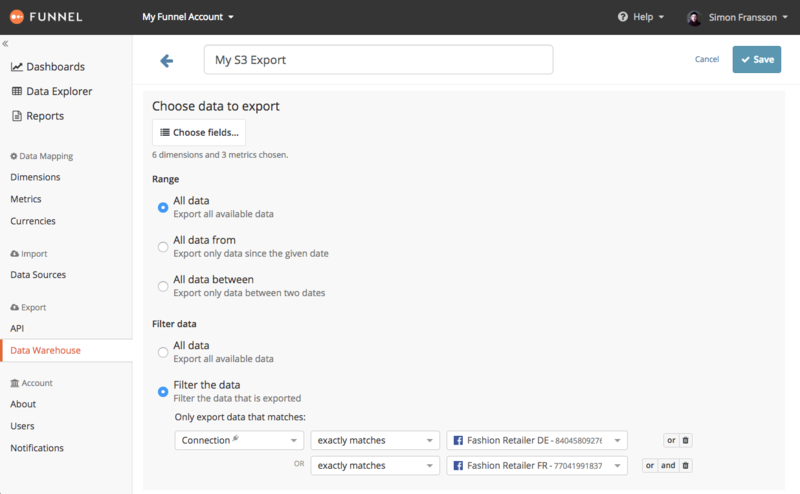 It is now possible to add filters to Data Warehouse exports, which will allow you to include only some of the data in your Funnel account in an export. Funnel now has a dimension called Funnel Account id, which will contain the id of the Funnel account your viewing or exporting data from. This is can be seen for example in the URL of the Funnel app, e.g. 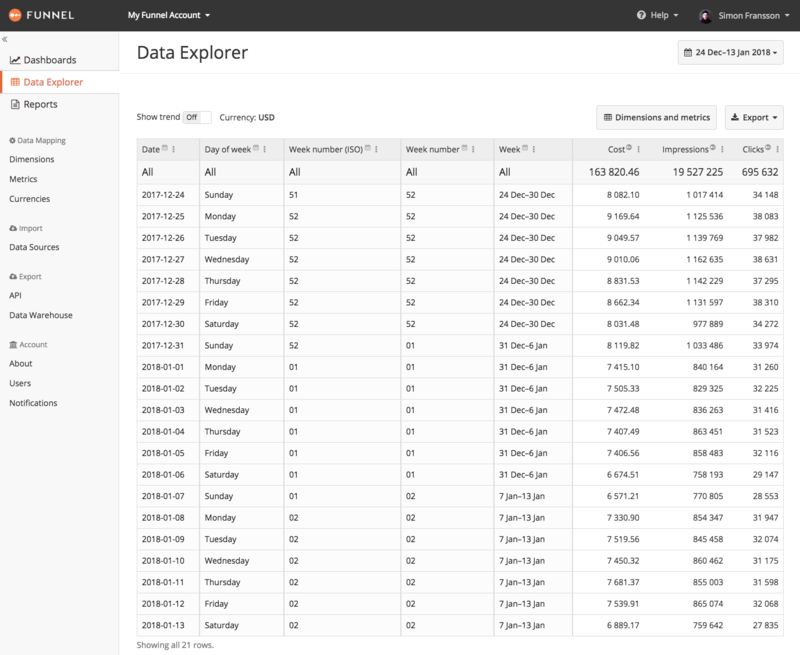 app.funnel.io/#/account/<your_account_id>/dataexplorer/. 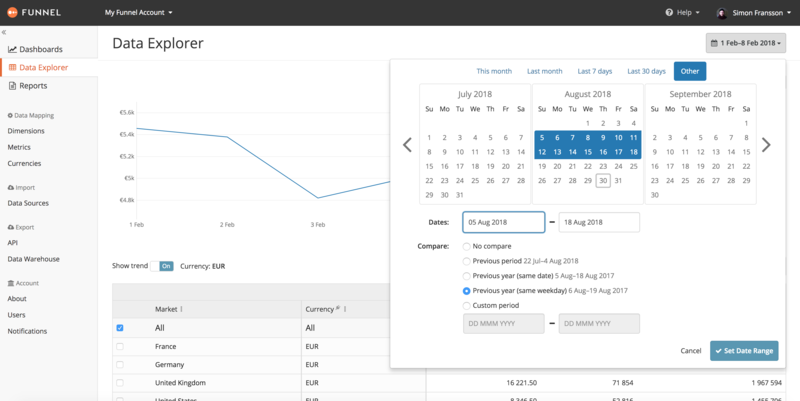 The Data Explorer now has the ability to show your data in its original currency. 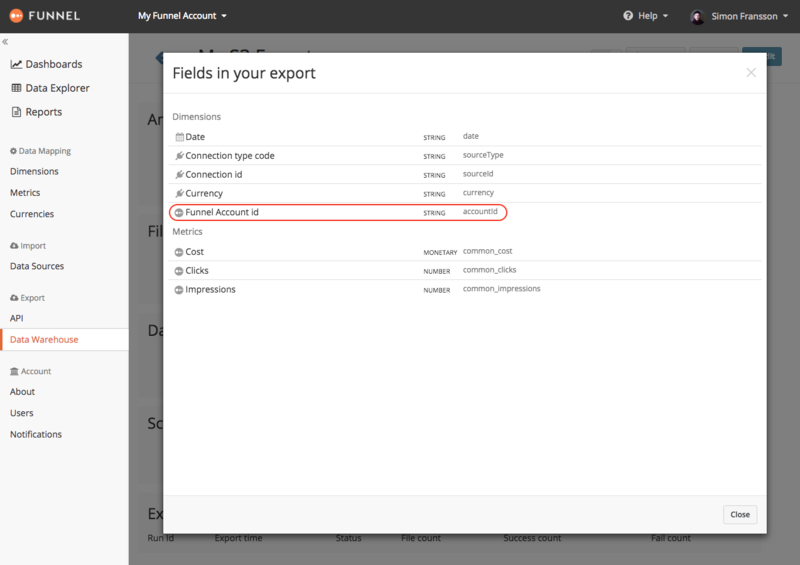 This is particularly useful if you're exporting the data and want to apply your own conversion rates after the export. To enable this, select "Original currency" in the Data Explorer's currency tab. The Funnel data source in Google Data Studio now allows you to use aggregatable custom metrics in your reports. For a metric to be aggregatable it must be possible to sum its values to a meaningful total.